Kochi: Prime Minister Narendra Modi’s aerial survey to witness the massive loss and destruction triggered by the torrential rains in Kerala was called off on Saturday due to bad weather, state government officials said. The Prime Minister was to be accompanied in his survey by Kerala Chief Minister Pinarayi Vijayan, State Revenue Minister E Chandrasekheran and other top state officials. 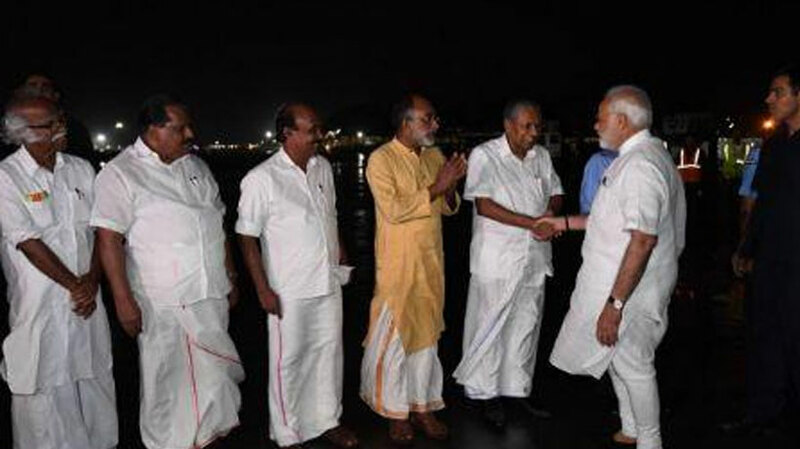 Prime Minister Narendra Modi arrived in Kerala to take stock of the situation there. Overflowing rivers and a series of landslides have resulted in the death of 324 people as of Saturday morning, with over 3 lakh others forced to move to some 2,000 relief camps. On Friday night, air lifting could not take place in Chengannur as the incessant rains continued in the region.